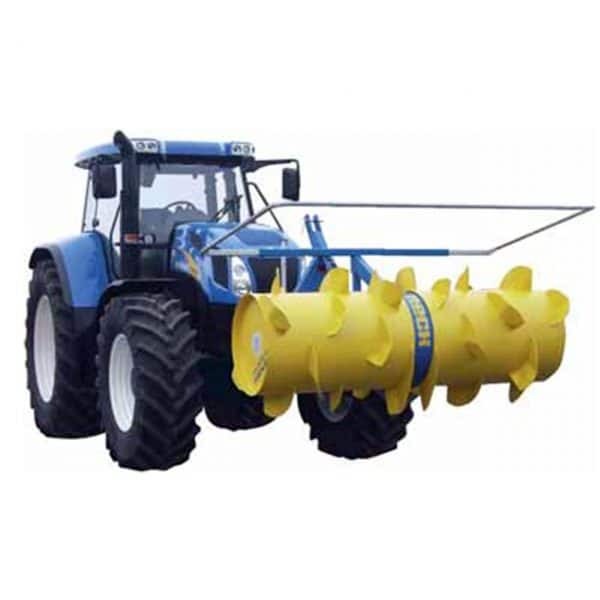 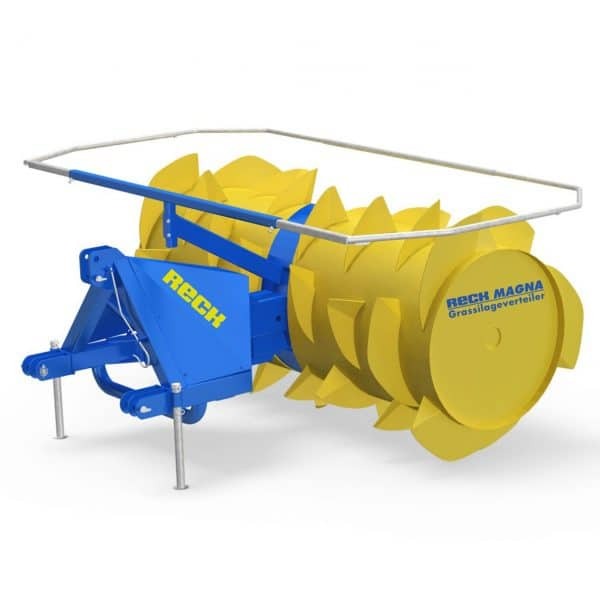 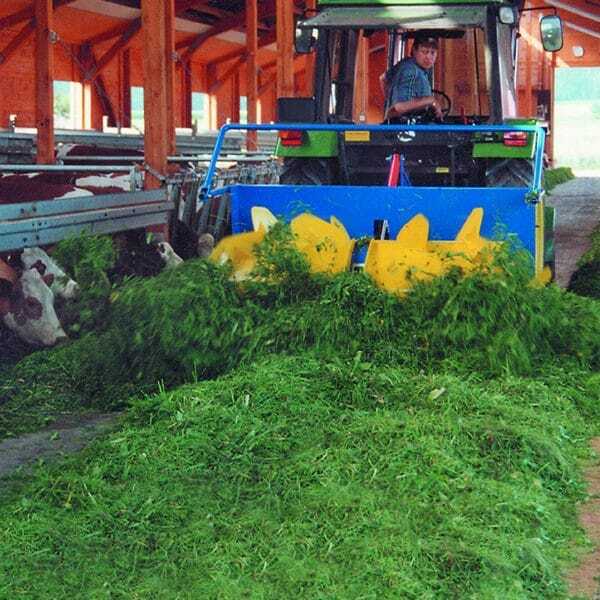 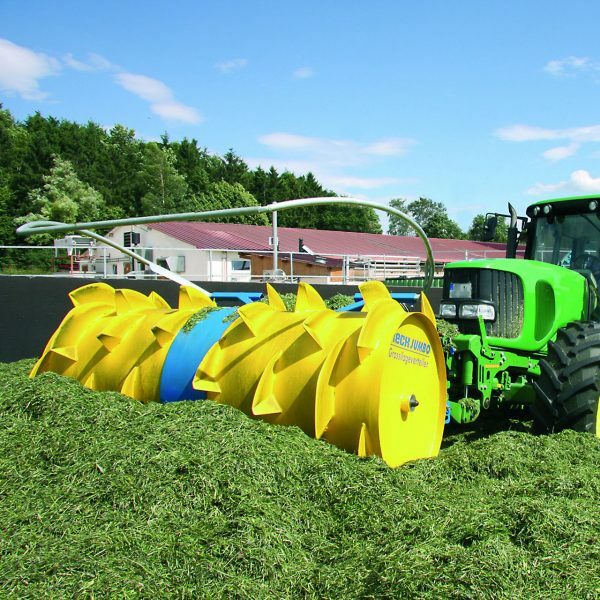 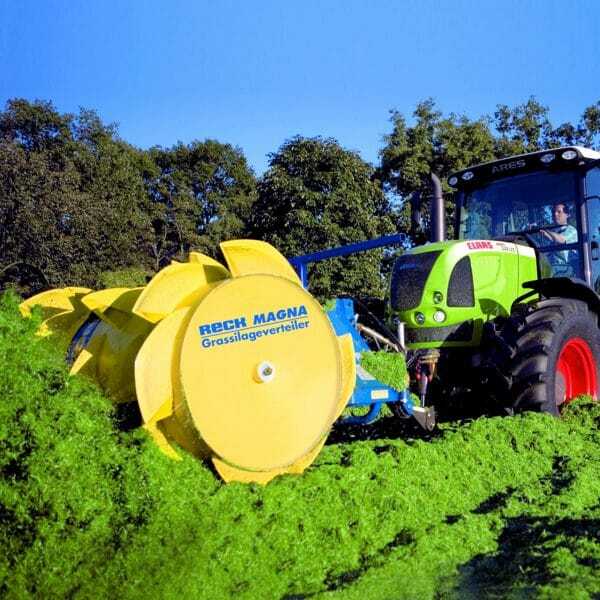 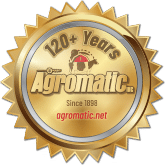 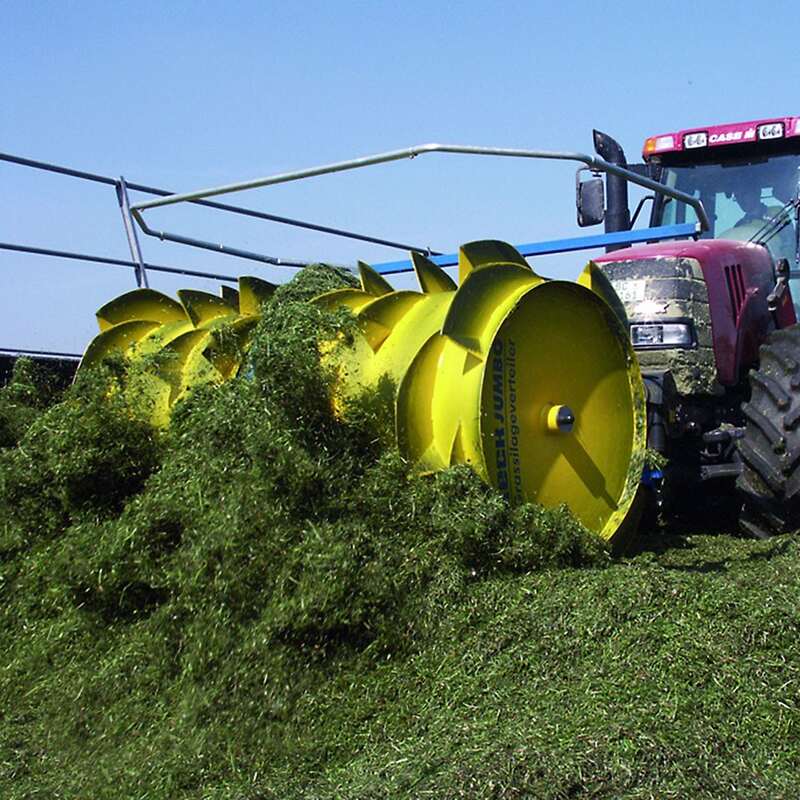 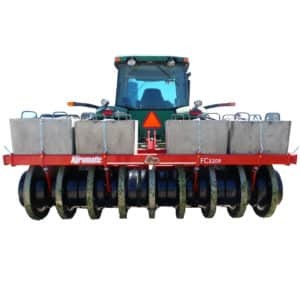 RECK: Silage Spreader | Agromatic Inc. Designed to do what a traditional push-blade can’t. The spreader allows you to spread silage all the way to the bunker wall where it can be properly packed. 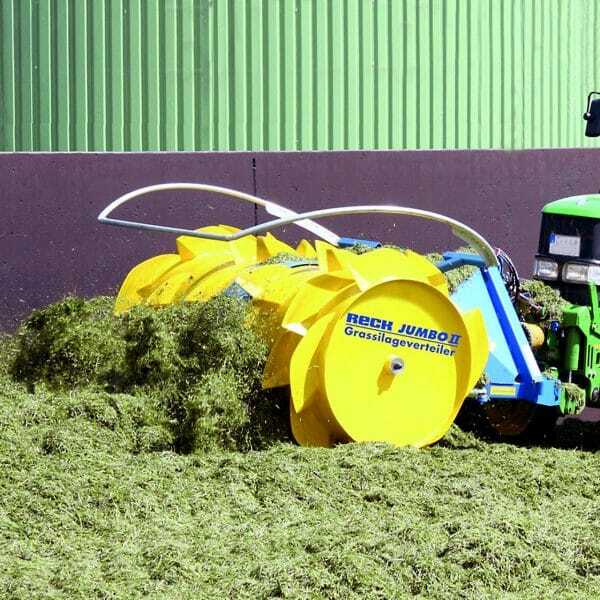 It also minimizes air introduction into the silage pile. Both the JUMBO II and the MAGNA are PTO driven. 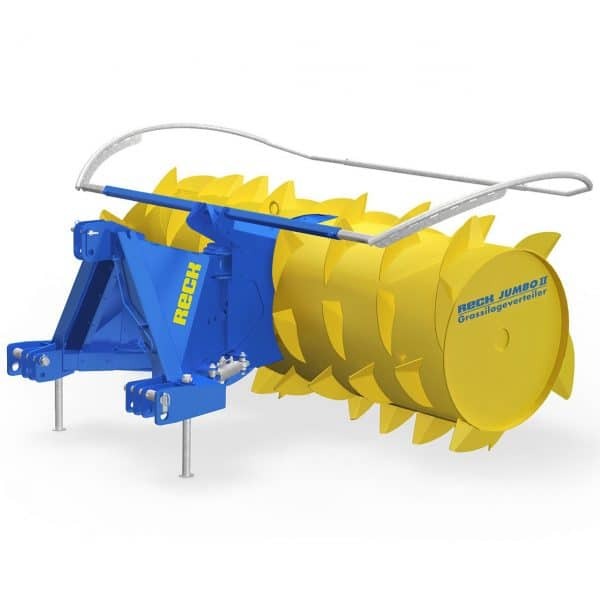 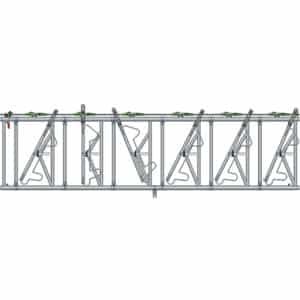 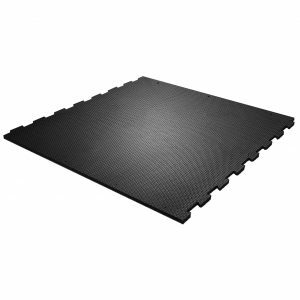 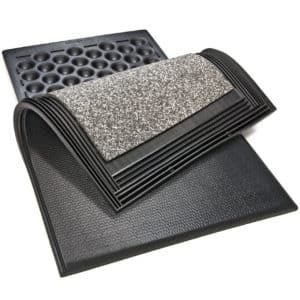 Both also feature 13” spreading paddles and a hydraulic swivel that allows for 20 degrees of rotation.